Eye Makeup - Mascara Tips and Tricks. Eye makeup mascara tips and tricks on how to choose the best mascara and how to use it safely for the best result. Many of us got addicted to this main cosmetic that we call mascara. It is used to darken and define lashes, making eyes more feminine and seductive. Here are some tips you might not know about this beauty ally of ours. Mascaras are available in neutral shades such as black, dark brown dark gray, but it is also available in navy, blue, clear and a host of other colors. Don't be shy using colored mascara, especially if you're a party girl or a teen. Pink, green, or electric blue will make your eyes pop. Another thing you should pay attention to is the result you want to achieve, because you cannot get volume, curves and length at the same time, even if they try to convince you that it's possible. So decide your priority and shop the perfect mascara. Waterproof mascara shouldn't be used everyday, since it's hard to remove Try using eye make-up remover or cleanser to remove your waterproof mascara. 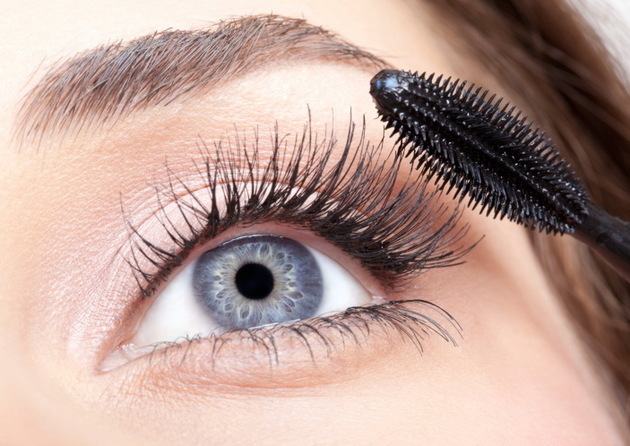 Never wipe your lashes too hard and pull at them because it can cause your lashes to fall off. You must try to be gentle when you remove your mascara. If you have delicate lashes and you're using a mascara to make them even longer it's not the best idea. Try mascara for volume to make them denser. Avoid using volume plumping mascara if you have short lashes. Making them look full makes them seem even shorter than they are. Try to use mascara for length which will give super full, false lash-look. If you have no problems with your lashes, use a curving mascara, so you won't have to use a lash curler. It is absolutely forbidden to introduce water, spit or any kind of substance into the mascara bottle if this becomes dry and flaky. The bacteria may grow in the cosmetic and subsequent application to the eye may cause infection and can give you pink eye or a nasty eye infection. Don't share your mascaras. Another person's bacteria in your mascara can be hazardous to you. If you notice the smell changes or the texture changes, throw it out.